Local landscapers share their favorite unexpected shrubs. Sam bucks Lemony Lace. Bowood Farms. "At Last" Rose. Sugar Creek Gardens. The Thuja Arborvitae. Chesterfield Valley Nursery. 1. 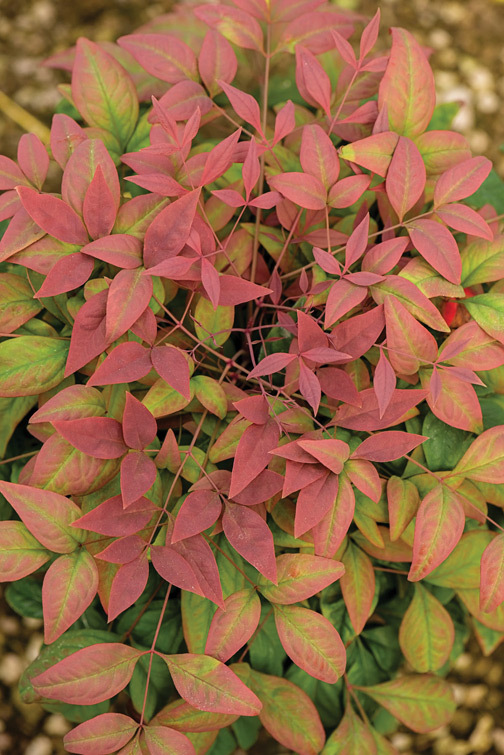 “Blush Pink Nandina is a compact, semi-evergreen shrub boasting pink-tinged foliage that turns brilliant red in fall and winter.” Christine Knoernschild, Passiglia’s. 2. 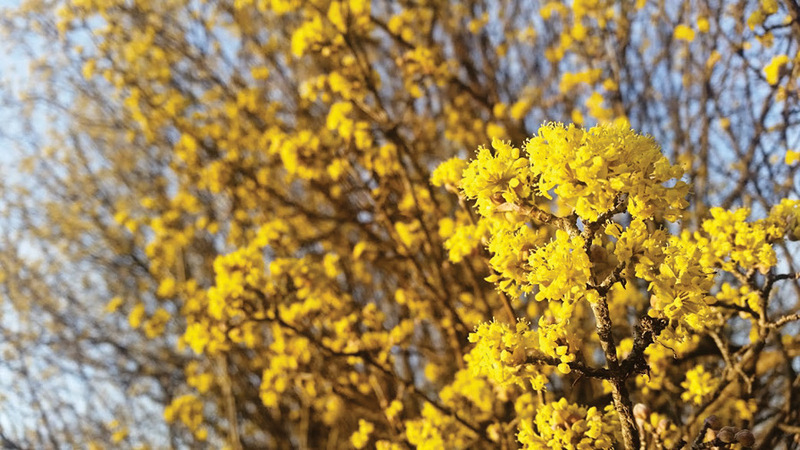 “Spice Bush is a lovely spring-blooming shrub with a tidy habit that makes an excellent substitute for the more common Forsythia. A pleasantly fragranted plant that produces an attractive berry, which Native Americans once used as a 'wild allspice' to flavor food.” Laura Caldie, Maypop Coffee & Garden Shop. 3. "The Sambucus ‘Lemony Lace' is a no-fuss shrub that makes a great specimen or addition to the perennial border and adds a unique texture to any garden. 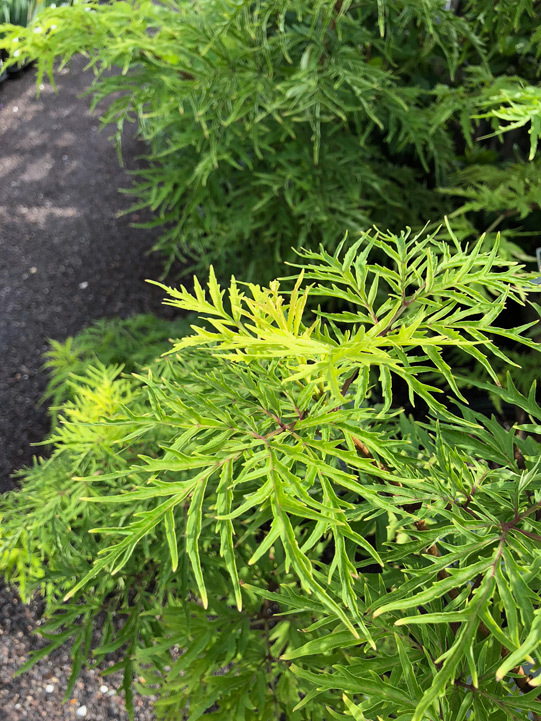 The lacy chartreuse leaves keep their color through the summer heat and will produce showy white flowers in the spring which attract butterflies, and bright red berries in autumn which attract songbirds.” Sarah Riley, Bowood Farms. 4. 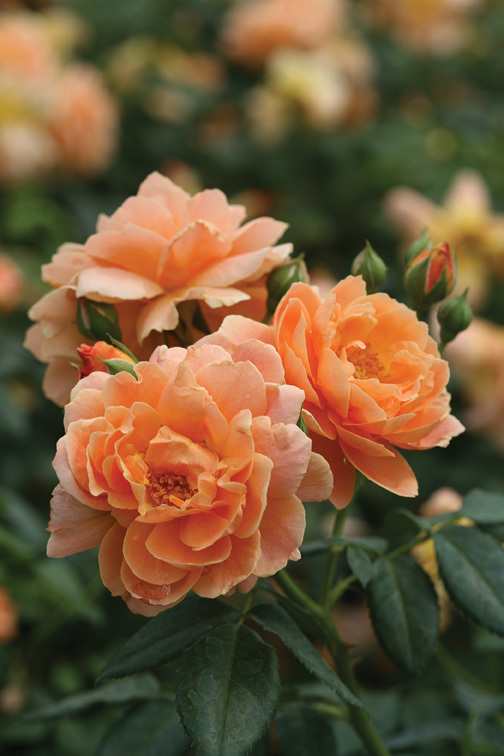 “A fantastic alternative to ho-hum shrubs, 'At Last' Rose combines everything we've ever wanted in a rose — all the romance of a fully petaled tea rose with a spicy rose scent, and the disease-resistance, easy care and continual blooming of a landscape rose. It flowers continually from late spring until frost for armloads of scented bouquets. Can be used as a ground cover, hedge or specimen. No spraying or fancy pruning is required for this disease-free wonder.” Ann Lapides, Sugar Creek Gardens. 5. "The Thuja, 'Mr. 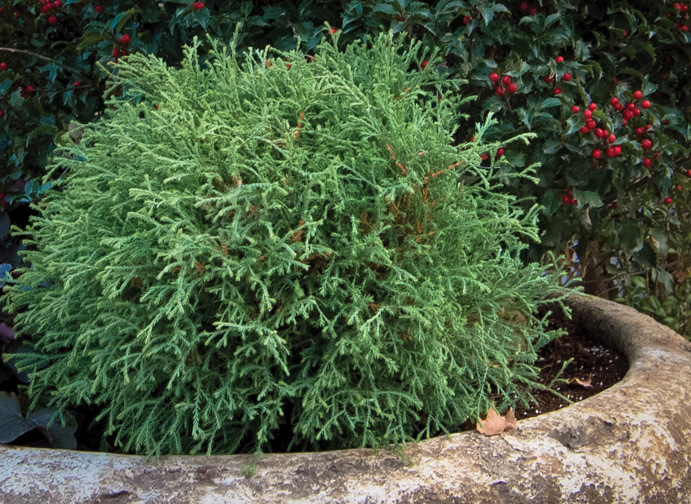 Bowling Ball' Arborvitae, brings a nice change to a normal shrub, such as a standard boxwood, because of its softer texture and green to blue-green foliage. They can be utilized in smaller spaces because they are a slow growing, dwarf variety.” Andria L. Graeler, Chesterfield Valley Nursery.